Well, we have two winners from last week. Patsy won Myra’s novle, Where the Dogwoods Bloom. Woohoo! Send your snail mail to me at pepperbasham(at)yahoo(dot)com and I’ll forward those addresses on to the wonderful authors. and Siri Mitchell on Friday. Can’t wait to see what these authors have to say about Falling Into Love. Stop by to find out more. Well, I’m sad I didn’t win Myra’s book, but congrats to the two happy winners! And congrats to you, Pepper, on winning the Natasha Kern contest! I wish I’d had something ready to submit. Hope all works out well for you! (Maybe you’ll be hosting your own debut facebook author party soon!) Blessings! Woohoo! Congrats to the winners! Just ordered Myra’s book! SO COOL!!! Hope you are crankingi things out! Have missed you at my place!! You are too sweet, Patti! I need to get your latest! Wow, how exciting! Can’t wait to read one of Jamie’s books. I’ll email you later with my address! 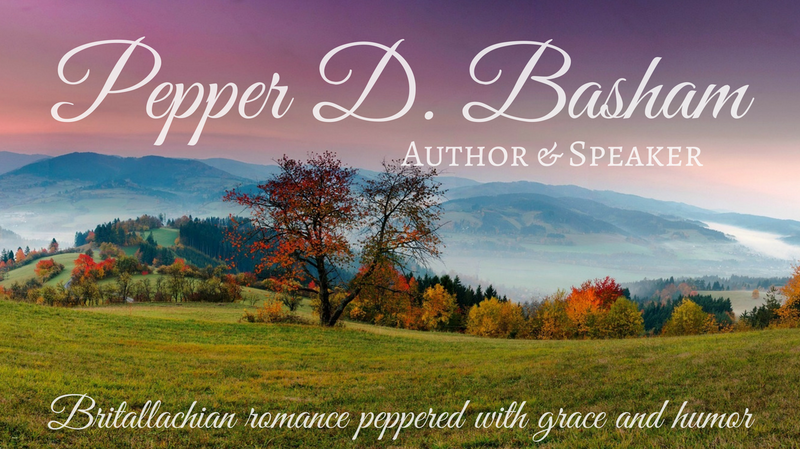 Congratulations to the book winners, and thanks to Pepper for hosting this terrific blog! Patsy, I’ll be looking forward to sending you my book, so be sure to contact Pepper or me with mailing info!